GAF has been awarded a contract to upgrade and automate the Nigerian Mining Cadastre Office. The aim is to enable online applications, e-recording, archiving and the establishment of local offices in the six geographical zones of the country. 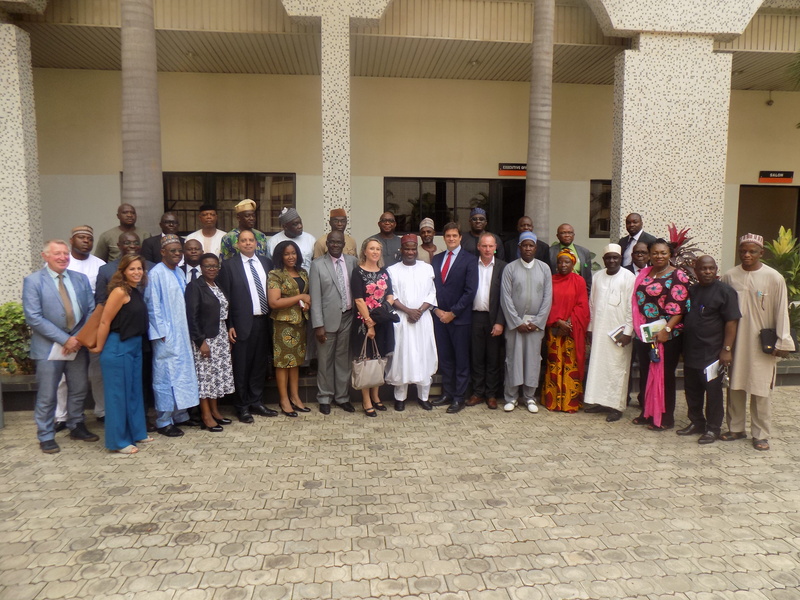 This is the first sub-project launched within the Mineral Sector Support for Economic Diversification Project (MinDiver), which is financed by a World Bank credit from the International Development Association (IDA). The contract signing ceremony took place in Abuja, Nigeria in the presence of Abubakar Bawa Bwari, the Hon. Minister of Mines and Steels Development (MMSD), several directors of various ministerial departments and a number of officials from the World Bank. GAF was represented by Dr. Tobias Wever, Head of the Geology and Mines Section.